At Crown level with forty-plus fabulous years in the Business, three adult children with two sons and wives at Sapphire level, and six beautiful grandchildren, Kathy Victor and her husband, Jody, firmly believe personal freedom, financial independence, and a strong family foundation are worth the time and effort it takes to build. Kathy's unwavering commitment to the Business and to all IBOs is evident in her service to the IBOAI. Currently on her third term and operating as the Executive Director, Kathy brings a wealth of experience to the position. 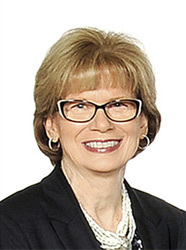 Previously, she held the positions of MAC Chair, Chair and Vice Chair of Business Operations, and most recently, IBOAI Board Vice Chair and Chair. Kathy says, "I am proud to have the opportunity to serve all IBOs and to see first-hand that we (IBOAI) are, indeed, making a difference. We are dedicated to keep this Business the best Business Opportunity out there!" An avid reader, frequent walker, and fan of spending time with family, Kathy credits these activities with helping her become a better person. According to Kathy, reading books of all kinds, especially those on business and leadership, have helped her become a reliable, responsible leader. The Victors are ardent supporters of the U.S. Dream Academy, their local American Heart Association® and the Go Red® for Women initiative within AHA, and the Humane Society and local facilities for homeless pets with donations of pet food. If a child knocks on their door raising dollars for a worthy cause, the Victors always enjoy helping out.